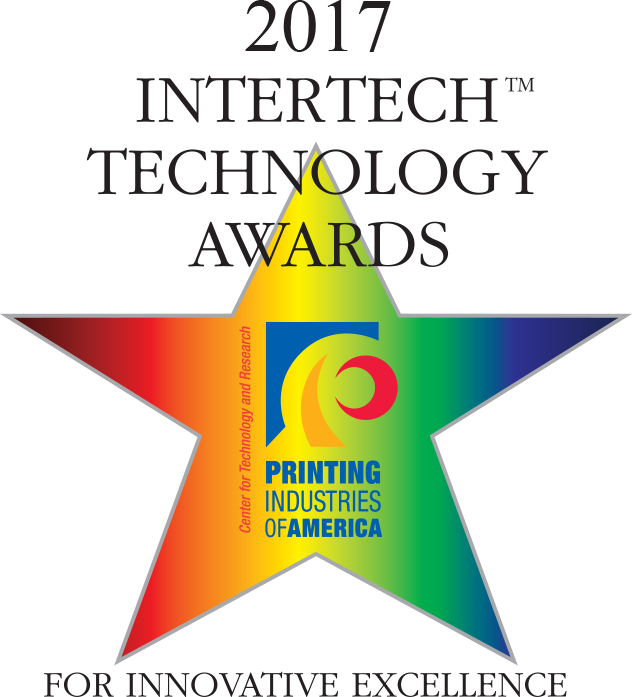 Screen Americas has been named an award recipient for the Screen Truepress Jet520HD using SC Inks in Printing Industries of America’s (PIA’s) 2017 InterTech Technology Awards. PIA recently announced the honorees following careful consideration by a panel of industry judges. The awards will be presented at the 2017 Premier Print Awards and InterTech Technology Awards Gala on September 10 in Chicago, Illinois held during the PRINT 17 trade show where the Truepress Jet520HD will be exhibited. The award for innovative excellence honors the Truepress Jet520HD high-definition inkjet web press for the commercial print, direct mail, and publishing markets. The press delivers offset quality printing with high printing speeds. According to PIA, judges were particularly impressed by the specially developed SC Inks that give 520HD owners the ability to print on the same coated litho stocks that they currently use on their offset presses without pretreatment or primer. The Truepress Jet520HD delivers realistic images with 1,200 dpi true resolution and precise droplet size control, achieving the colours, textures, details and solid ink areas expected for high-end publication and commercial work. The enhanced design opportunities that improve response rates of personalized marketing campaigns make the Truepress Jet520HD an appealing alternative to offset/digital hybrid and toner-based production for direct mail advertising. The Truepress Jet520HD features a breakthrough combination of proprietary engineering and SC Inks with absorption technology for direct inkjet printing on offset coated papers, eliminating any preprocessing or additional primer coatings typically required of conventional inkjet technologies. Recent new adopters of the Truepress Jet520HD and SC Inks include Tidewater Direct of Centreville, Maryland and Admail West of Sacramento, California. Tidewater, a direct mail component supplier to the trades, turned to the winning combination in order to meet its market’s growing needs. Executive Vice President Geoff Eisenberg credits the Truepress Jet520HD and SC Inks for supporting the company’s responsive, accurate and efficient reputation. “We have a straightforward yet high energy business model, turning projects on time and within budget while maintaining a consistent growth strategy,” Eisenberg said. “Screen meets our needs for high-end publication and commercial work.” The well-respected supplier can inkjet 4-colour on the same offset stocks it uses for its web press, saving its customers time, money and hassle. The Truepress Jet520HD enables superior quality that goes beyond the traditional boundaries of inkjet printing, opening additional markets and applications to on-demand printing at speeds and economies unmatched in cut sheet digital and, for many run lengths, rivaling that of offset. Komori America Corporation serves as Screen’s exclusive distribution channel for the Truepress Jet520HD in America.